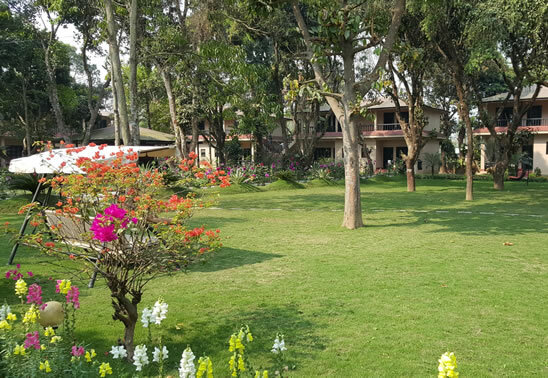 Hotel Parkland is situated in perhaps the best part of Sauraha. It is only 10 minutes walk from the center of Sauraha and only few minutes away from the Park and its office. The hotel has been run by an experienced and dynamic person who has been involved in the field of hospitality since 1987.Our location provides a quiet and peaceful stay with easy access to the town. Along with the 24hrs Wi-fi, this smoke- free aparthotel has a bar /lounge, other amenities include room service, special food service, live music service, laundry facilities, jungle safari service, pick up and drop service, parking service, tour and travel service, vehicle service, phone fax service as well as it has conference hall with meeting services and Magnificent views. A conference center can accommodate approximately 150 people, making it an ideal place to host your conference. It has property features like The in- house restaurant serves delicious Nepalese, Indian, Chinese and continental delights. Room service can be requested for in-room dining comforts. Each room here will provide you with air conditioning and a balcony plus free Wi-fi and a TV with digital channels, free bottled water, a hair dryer and a safe are among the other amenities that guests will find. Featuring a shower, private bathroom also comes with a bath and free toiletries. You can enjoy garden view from the room. Extras include a seating area and satellite channels. 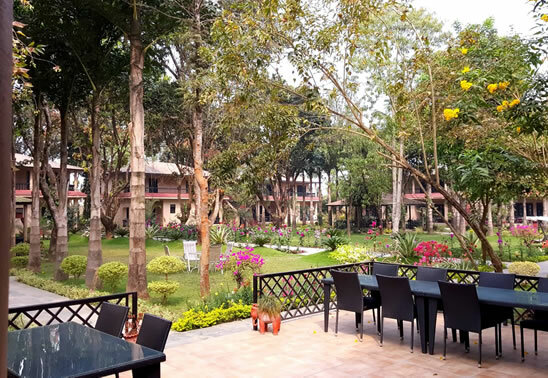 A magnificent mature garden surrounds the complex with many rare indigenous trees, shrubs and flowers which attract various birds and butterflies. Nature can be observed from your private balcony or bedroom windows. All the rooms at Hotel Parkland are en-suites with all the modern facilities. Satellite television, air condition, tiled attached bathrooms with hot and cold shower around the clock. We are sure your vacation will be the experience of a lifetime. We are proud that many guests return to us to enjoy once more our traditional hospitality in a sylvan setting.